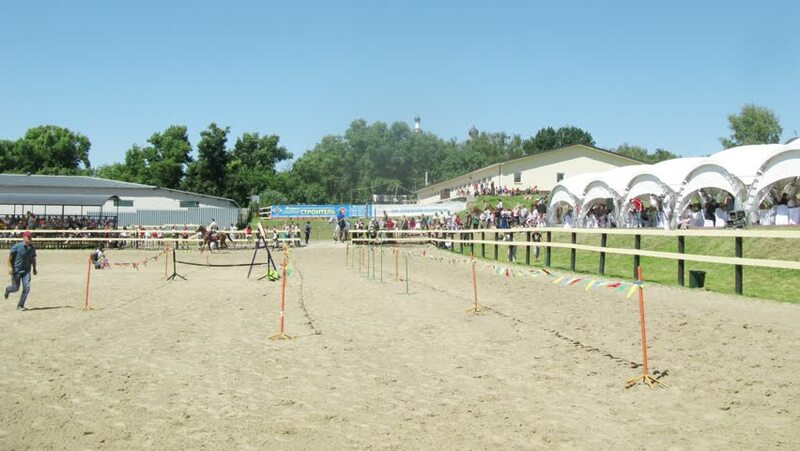 LYTKARINO - JULY 13, 2014 (Time lapse): Horseman rides on horse at competitions on dgigitovka , July 13, 2014, Lytkarino, Russia. hd00:20LYTKARINO - JULY 13, 2014 (Time lapse): Horseman rides on horse near tribunes at competitions on dgigitovka , July 13, 2014, Lytkarino, Russia. 4k00:05Horses graze in the meadow.